Nepal has been famous for exporting the top quality Pashmina wool shawls, scarves and other items including baby wear from the small CHYANGRA goats. Chyangra Pashmina is internationally recognised as cashmere of the highest grade. It is the world’s most revered luxury fiber. It is sourced from the small native Chyangra goats that are raised in the isolated Himalayas across Nepal. These goats produce the ultra-soft wool from their inner coat. Unfortunately since 1999 when Pashminas re-appeared into high fashion, many people became excited and started producing copies using synthetic fibres and calling them pure 100% Pashmina. These shawls and scarves can be soft to the touch, have a variety of colours and are usually quite cheap. So the poor consumer had no idea that they were not buying the real authentic pashmina. To challenge this problem the Nepalese Government has introduced the prestigious Chyangra Pashmina TRADEMARK for the CHYANGRA PASHMINA label. This is part of an extensive promotion by the N.P.I.A (Nepal Pashmina Industries Association) throughout Europe, Russia, UAE, and USA to restore the Pashmina Industry to its former status. This Trademark is recognised in over 40 countries and Australia was one of first to acknowledge this new label. Now, exporters may only obtain the Chyangra Pashmina trademark label if their Pashmina products comply to a rigid process of accreditation. Pashmina Passion are proud to have been the first importers of authentic pashmina in Australia to use this valuable TRADEMARK. Dont take the risk with cheap copies – buy the best and you will love the luxury of authentic high quality Chyangra Pashmina shawls and scarves. Shop with confidence for your CHYANGRA TRADEMARK Pashminas from our on-line shop – you will be so pleased you did. 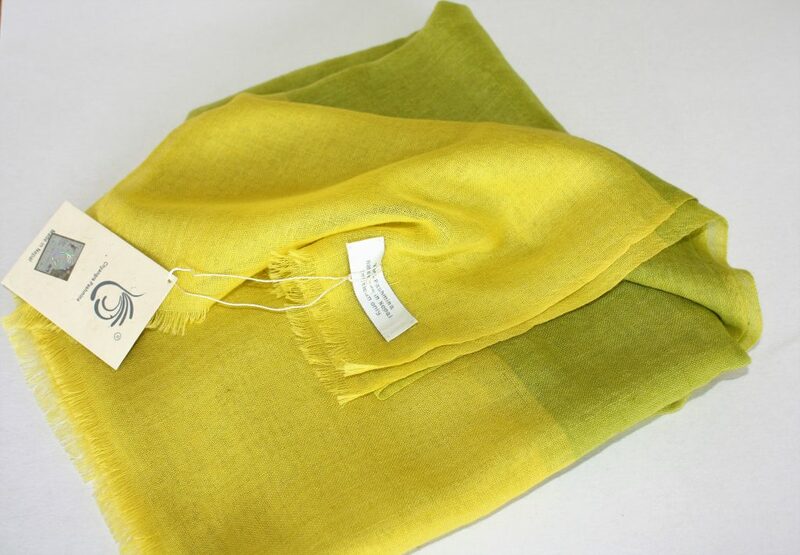 "Luxurious, authentic pashmina wraps and scarves sourced from carefully selected manufacturers in Nepal."